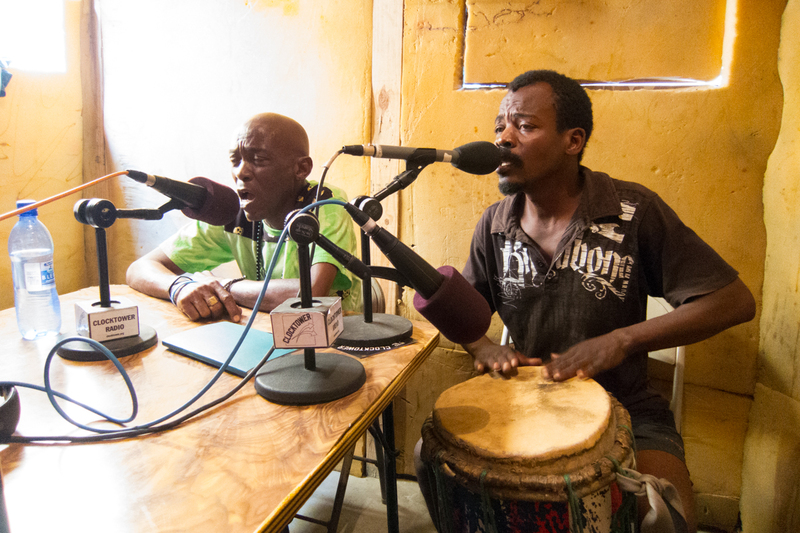 Patrick Derival and Wilson Bonhomme of the lakou Atis Rezistans in Port-au-Prince give a demonstration of some of the basic vodou rites. Typically, each major lwa has its own dedicated rhythm and song. 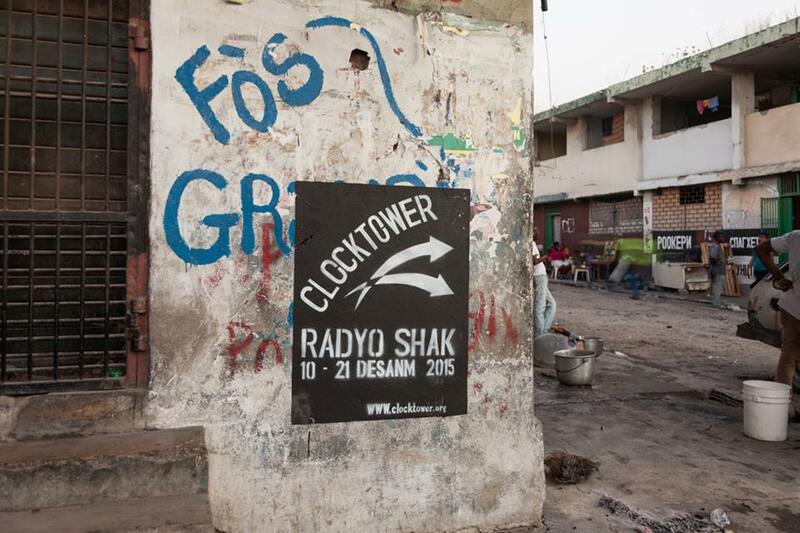 The Radyo Shak hosts asked Derival how long he had been drumming, and he said I grew up in a family that served vodou; ever since I was little I’ve been playing drums, it’s something inside of me. That’s my gift. He has played in many different temples, or peristils (including his mother’s) as well as that of the local vodou priest, Papa Dar. Here Patrick and Wilson perform La fami rasanble (the family has assembled), a song for the lwas Ezili Dantor, a congo rhythm and a chant for Ogoun Badagris. For the Kreyol version of this program, click: HERE.